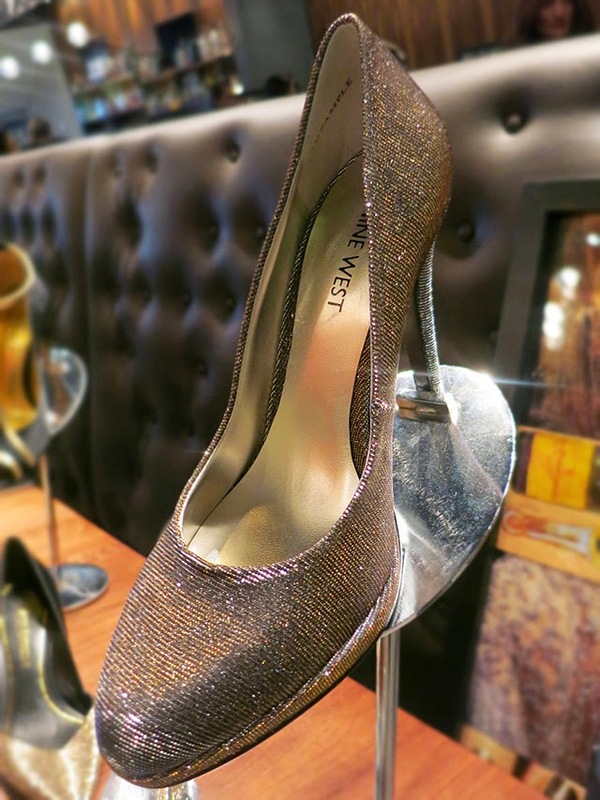 A few weeks ago I had the pleasure of attending Nine West's Fall/Winter 2014 preview at The Beverley Hotel in Toronto. They presented upcoming trends from various brands including Nine West, Nine West Kids, Enzo Angiolini, Easy Spirit, Anne Klein, Bandolino, Charles David, Taryn Rose, and many more. I really enjoyed how each table was categorized by a theme such as leopard, all-red, rider boots, moto-chic and holiday-wear. While everything was absolutely stunning and would have fit well in my closet, there were a handful of shoes and accessories that I can't wait to get my hands on. Not only do these oxford flats look comfortable, but they would be great for the office. During the colder months I often leave a pair by my desk to easily switch into and I'm thinking these fit the part! They are equal-parts stylish, classy and formal. In my opinion, the colour of the year is blue. Currently everyone has been obsessing over powder blue and then it will transition into this gorgeous navy blue (photographed above) in the fall. The great thing about the two-toned booties is that you aren't limited to just one colour; the mix of blue and black makes these shows more versatile. It also looks like mixed media is here to stay for a while. I'm a huge fan of rider boots and if it were up to me, I totally would have grabbed a pair at the preview! I'm really excited for this pair to come into stores. Who doesn't love a stunning pair of glitter pumps?! The rustic bronzy gold is so pretty and immediately stood out as soon as I got to the preview. I would say these are a good investment, as you can wear them for holiday parties but also events and weddings throughout the year... yes, even in the summer! 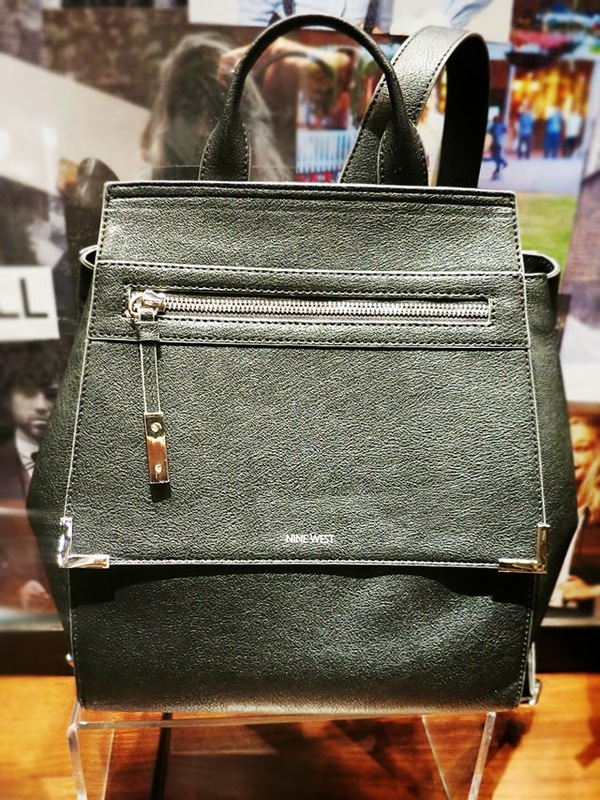 Nine West always carries great handbags and I wasn't surprised (okay, maybe a little) to see that even their backpacks for fall/winter 2014 are a piece of art. I've never been a backpack type-of-girl unless I'm travelling, but this one almost doesn't count. It looks like it can fit a lot and the detailing is so pretty; particularly the flap in the front. 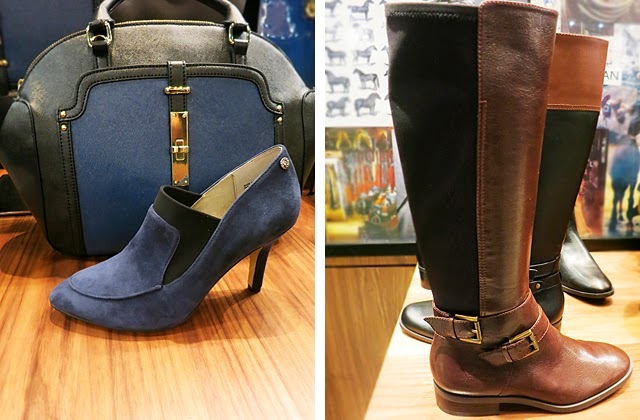 Those are my five picks from the Nine West Fall/Winter 2014 preview. I'd love to know what you like best from these upcoming collections!